Oh Bee, you have been VERY busy. 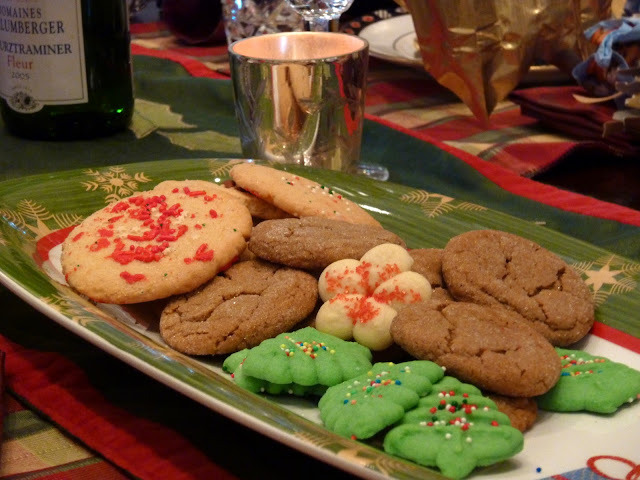 Your cookies look wonderful (too bad I can't smell the cookie-perfume in your kitchen) and I doubt there will be much left after all the festivities. Have a Merry Christmas with all your loved ones. Mnn--that pastry looks great. Do you have the measurements in cups rather than by weight, though? I am going to try it! I think the orange probably makes it divine! And the toffee also. 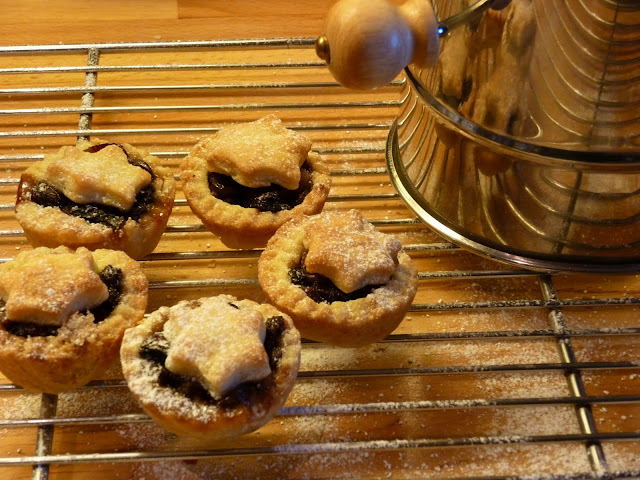 A former colleague's dad used to make and sell it at Christmas. Oodles of it. This recipe looks similar, if not the same. It demands a test! Looks so yummy. oh, beth, it looks absolutely fantastic. i may have to do up a batch of toffee. after searching for several weeks, i finally located a candy thermometer, so it should be possible now. 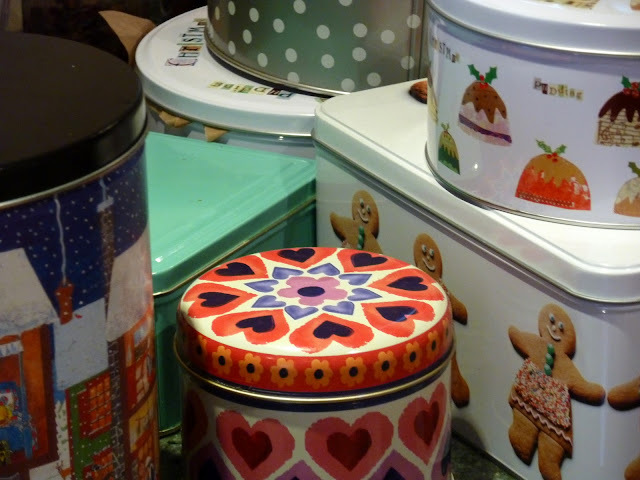 i've got a cup of hot cider with a little dash of calvados in it at the moment and i'd love to have those tins to scrounge through to find something to go with it...sigh, i'll have to go sniff around in my nearly empty ones downstairs and see if there are a few rosette crumbs left. Elizabeth - late afternoon, and I've just come in from a long walk. My parents were both drinking coffee, and sampling from the tins (! ), when I walked into the kitchen. Char - I hope you give it a try. It is practically fool-proof. Use 1 2/3 cups flour, 1/4 cup of crisco and 1/4 cup of butter for pastry American-style. I am always switching between cups, ounces and grams! Hi J - You should definitely try some toffee. It doesn't take long at all (and you can read while you are stirring). 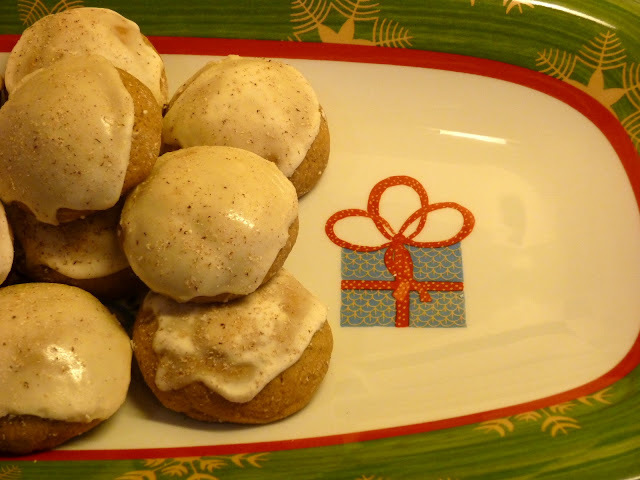 I wonder if you would like the cardamom cookies? What treats should I bring to Blog Camp? That's interesting, what you said about not making it on a humid day - I've seen references to humidity in American recipes before. It just isn't something we factor into our cooking or baking here in Britain, is it - probably because 'damp' is our default position! gosh, so many wonderful recipes, I can imagine your house must smell so lovely of cakes and cinnamon, Bee, you're creating such wonderful Christmas atmosphere, I can almost smell it too! Rachel - You are right; no point in waiting for a non-humid day to make candy! We have had a few blue and bright days, though. Honestly, I don't think the toffee is much affected by humidity . . . but other candies, like divinity, really suffer from it. 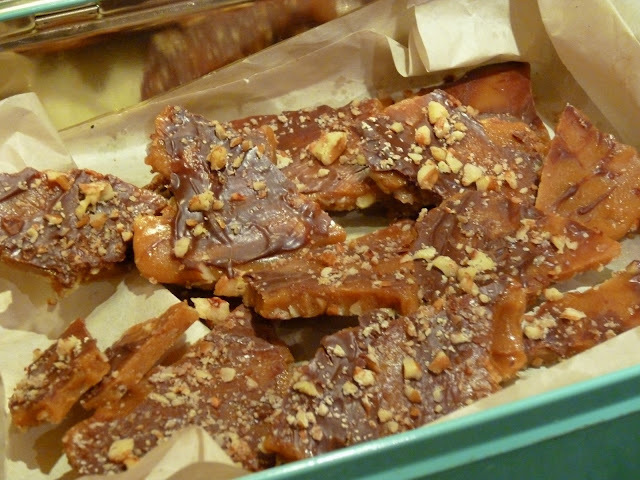 Polly - I may just bring some toffee to Blog Camp! Thinking of you this morning . . . it's so foggy here. I hope you get off to Poland okay. Kristina - Do try these cookies if you love cardamom. They are my new favorites; in fact, I ate one for breakfast this morning. Word question: does "more-ish" mean you'll want some more? Or does it mean over the top? Or...? I'm amazed, you are the one woman baking army. I felt good about getting the gingerbread cookies cut out and made. Frosting them with my daughters was akin to refereeing a hotly contested bout. (Lexi's turn now, step aside Katy. Yes, you both get to frost 1 big gingerbread men and 3 little ones. Don't eat the sprinkles while we're decorating please.) I'm going to bake another batch, free of juvenile assistance tonight. Enjoy your coffee and cookie reward. Merry Christmas! Oh, Bee! This post is everything that I wanted my December to be, and more. Holiday baking is my favorite part of Christmas, too, though my gift baking is much more haphazard than yours is. I'm amazed at how organized and industrious you are with your gifts! 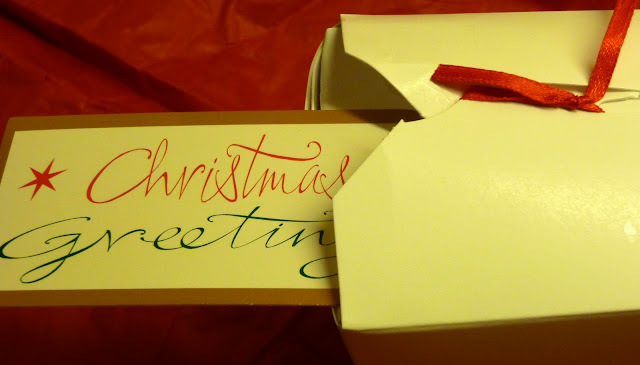 I was all set to do an array of home-baked Christmas treats to send off to various corners of the country (and world--including yours), and then my plans fell to pieces when I wound up in the hospital. All is well, or at least getting better, but I've been under orders to take it very easy. Still, I'm looking forward to doing some better-late-than-never holiday baking, and I'll be coming back to this post when I do! Your coffee and cookies are very well earned. Merry Christmas to you and your family! Nimble - "moreish" is such a wonderful English word. It means that something is so yummy that you keep wanting to eat more of it. And that gingerbread men story sounds very familiar . . .
Anne - I'm so sorry to hear that you weren't well over the holidays. Hopefully, you will be better soon. (And perhaps, during your convalescence, you will get a chance to bake?) I'd like to know what you think about these cardamom cookies. Our family were neatly divided between LOVERS (me, my Dad, youngest daughter) and haters (oldest daughter) and meh (my mother and husband).